Gloria Acan gazed at the prison cell wall wondering when this ordeal would be over. She remembered the sound of magistrate’s hammer when he sentenced her to six months in prison. She had appeared in court three times before. She had prayed that the magistrate would have mercy on her and allow her to take care of her three children. Now, she was certain that everybody was right about her being a pathetic mother. Her life had been like a free fall; the magistrate’s hammer was rock bottom – She dropped out of school at senior 4, a marriage gone sour at 20, here she was at 22 in jail. For a girl in her village, if she hadn’t completed school, a man with some property was her way out. A year later, she met a man of her own tribe that seemed to love her and her two children. 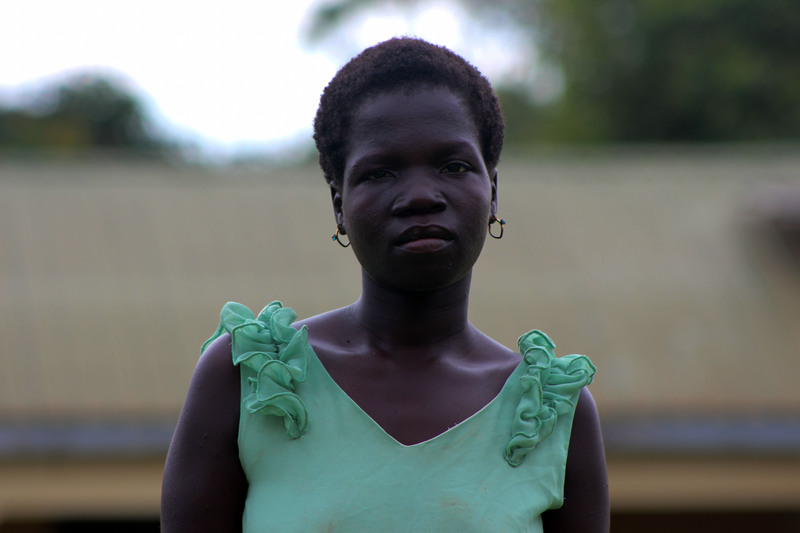 “He owned land, he introduced me to his family and he wasn’t embarrassed to have me like the first Munyakole man that had disappeared.” She said. This love affair soon came to an end when the man started to drink alcohol. “My husband was drinking all the time, and every time he drunk, he beat me. One day, we were attending his relative’s funeral when he started to beat me up in front of mourners. It is like he enjoyed humiliating me. People came running towards us and pulled him away from me. Those that witnessed the scene at the funeral cautioned me that he was going to kill me if I didn’t leave him.” She said. After what seemed like series of endlessly failed business ventures, she decided to take her last child who was eight months then to his father. His father, in turn, took the child to St Jude a foster home in Gulu town. Before St Jude takes on a child, they inform the police. The police started to investigate and ended up jailing Acan for child abandonment. Close to three months into her time in prison, the prison warden came with an announcement. A civil society organization called Advance Afrika was conducting a rehabilitation and economic empowerment of inmates and ex-inmates in Northern Uganda to prepare them for life after prison. The organization conducted an interview, where she mentioned that she was interested in studying business skills. After a few weeks, they came back to announce the participants. She had been selected. In May this year, she was released. This is a real second chance, the story helps people understand that there is always a second chance when it comes grab it with both hands. Second chances do happen for sure. thanks for reading. Inspiring and Touching story. Keep up the good work. Wow…..brought me to tears. Happy for her. A second chance to it all. her children,a business and education,she got it all. Let her concentrate on raising her children a good man will come along. Good luck to you dear. Prud,thanks for the stories,they always make for a good read. 🙂 Always good reading them,keep it up.